The results of the 2016 election were devastating to so many Americans. We in the LGBTQ community know that if we do not stand up for other historically marginalized groups when they are attacked, we will have no one left to stand up for us when we are attacked. That is why we are calling on our champions and allies to publicly and proudly support groups most under attack. 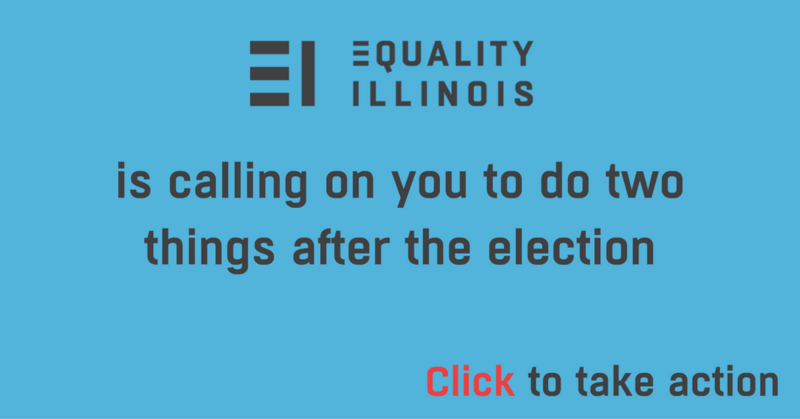 To that end we have established donation pages so that the LGBTQ community of Illinois can stand up with a consolidated voice in support of immigrants, Muslims, and victims of sexual assault: Council on American Islamic Relations (CAIR-Chicago), Illinois Coalition for Immigrant and Refugee Rights, and Illinois Coalition Against Sexual Assault.